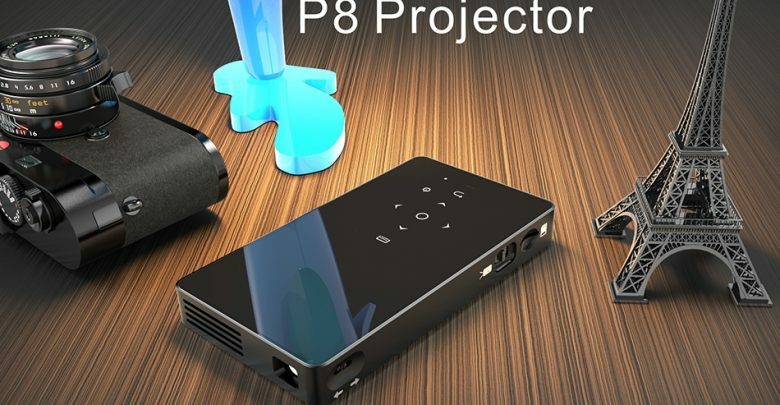 The Orimag P8 is a small projector with a very modern design and an elegant touch that has personally conquered me. 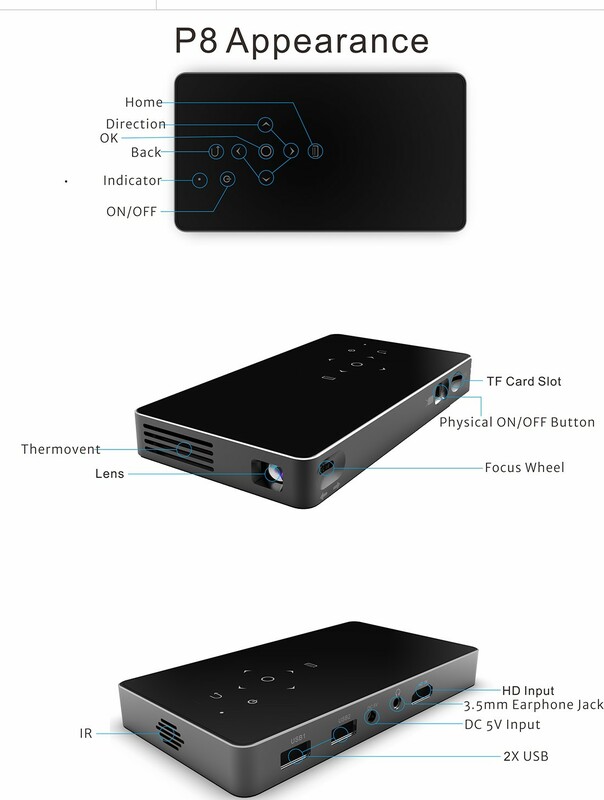 Made of aluminum, just look at the design and we realize that this is a small projector very simple and convenient to use. In the upper part we find a series of tactile buttons and on the side, we have a roulette to manually adjust the focus, as well as a slot to insert a TF card. On the front is the Orimag P8 lens and on the back, a micro USB port and a 3.5 mm headphone jack. 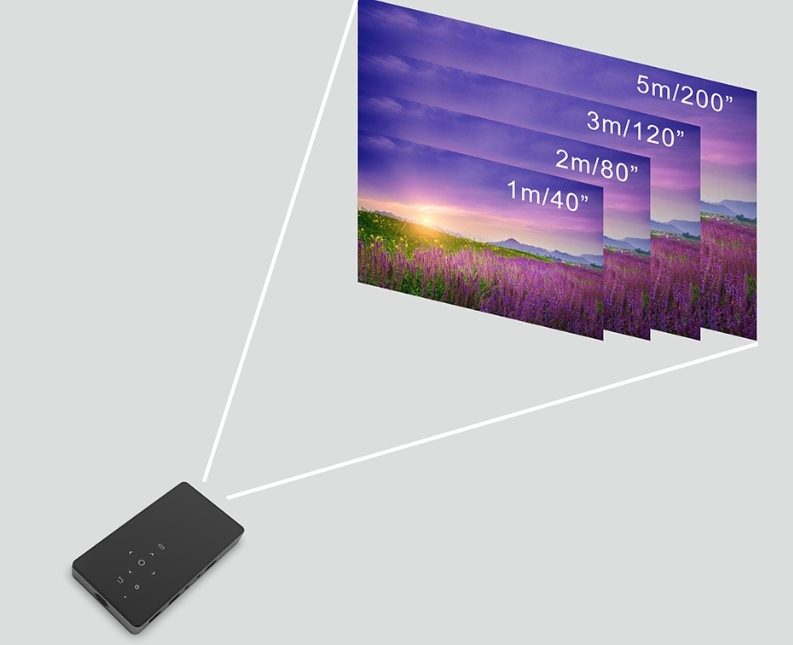 We are facing a device with a very compact design, with measures of 4.3 cm in width, 4.3 cm in depth and 4.5 cm in height. As for the weight, it is only 113 grams; It fits in the palm of one hand. It has a native resolution of 845 x 480 pixels and has a contrast of 1000: 1; the aspect ratio is 4: 3. 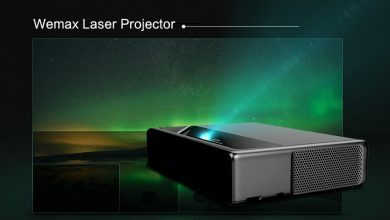 When you go to buy a projector, one of the most important aspects to assess is the size of the screen and the distance at which you need to place the projector. Well, in the case of the Orimag P8, the screen size ranges between 5 and 200 inches, and the projection distance is between 0.3 and 3.5 meters. Larger projectors require a much greater distance, so this model is a fantastic option for a small space. 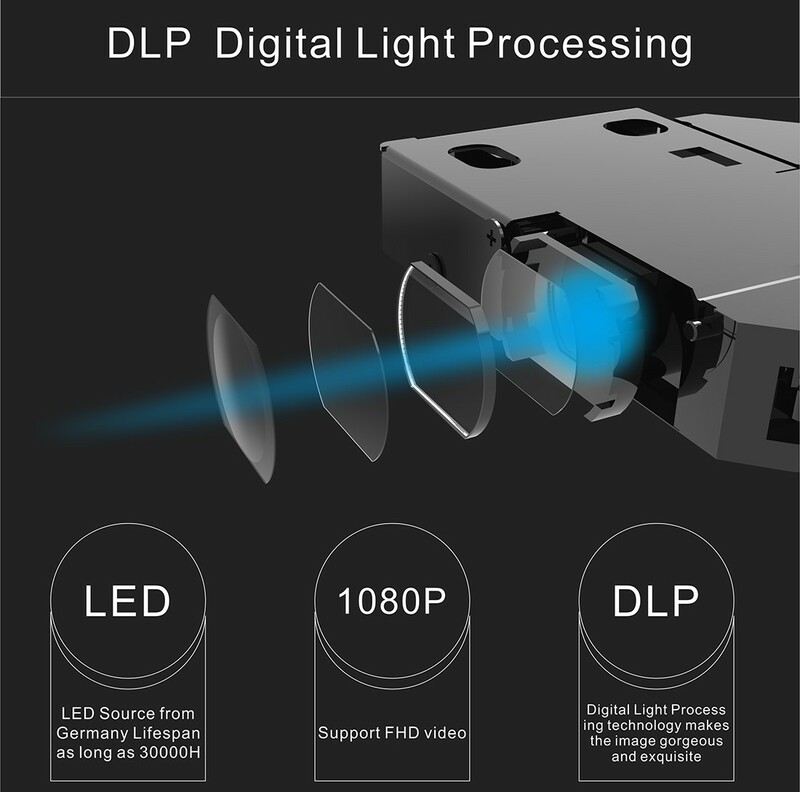 As for the brightness, it offers 80 lumens; The truth is that it is a minimum amount but we must take into account the type of device we are talking about. Maybe in broad daylight, the images do not look too bright, so, given this number of lumens, our recommendation is that when projecting any type of content in the Orimag P8, it is done in a space that is relatively in the dark. The life expectancy of the lamp is 30,000 hours; taking into account that a film lasts an average of 2 hours, we can enjoy with this portable projector of 15,000 films, nothing more and nothing less. Regarding the video formats, it supports TS, FLV, VOB, MPEG, WMV, AVI, MKV, and MP4. The image formats supported by the mini projector are JPEG and PNG. The connections of the Orimag P8 are the following: micro USB port, a TF port and 3.5 mm headphone jack. 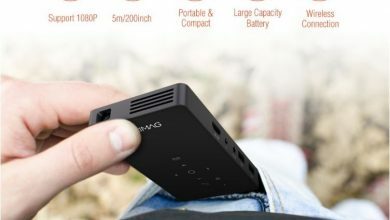 I think a fantastic portable projector to take it for example on vacation. 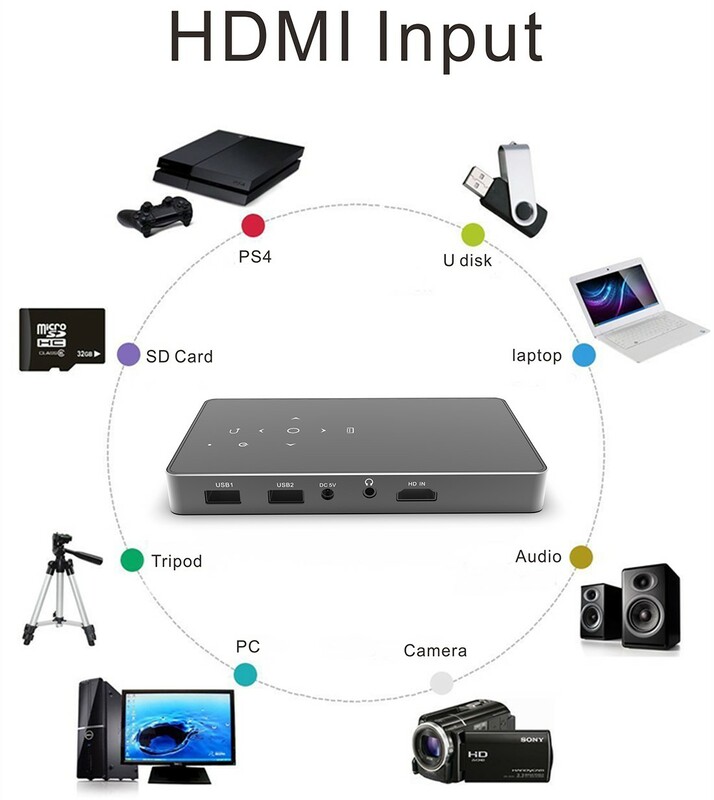 You can store a series of movies on your tablet and then connect it to the projector thanks to it’s 2.4 and 5 g WIFI connectivity; In this way, you can enjoy the movies on the big screen, projecting them, for example, on the wall of the hotel room. At the software level, the Orimag P8 has Linux as OS. It seems to be a success because this is characterized by being one of the most stable operating systems and provides better performance. It is compatible with smartphones, tablets, and PC. Compatible with Android, iOS 5.0 and higher and Windows 8.0 and higher. In addition, it has the protection of the eyes, which is a great point to take into account to avoid eye fatigue. 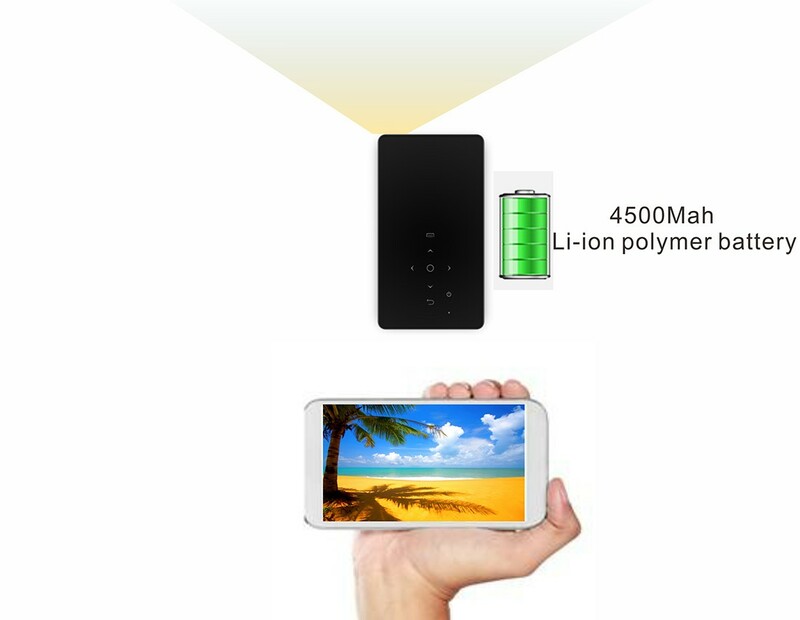 It incorporates a lithium-ion battery of 4500 mAh that provides a range of 1.5 hours.